Home » Coast to coast » Women change history: BUILD WORKERS WORLD! Women change history: BUILD WORKERS WORLD! March is Women’s History Month. Though WW reports the struggles of poor, working-class women of all nationalities year round, we highlight them during March. It was women in Workers World Party who revived the militant tradition of International Women’s Day in the streets of New York in 1970. 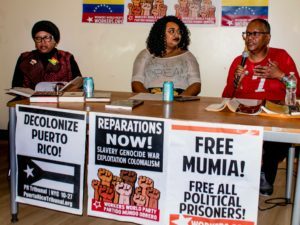 Our newspaper always commemorates this socialist holiday with a roundup of women’s protests for freedom, justice and equality the world over. As Marxists, we strive not just to honor history but to make it — to bring about the huge changes needed to turn society upside down and put the workers and the oppressed first. 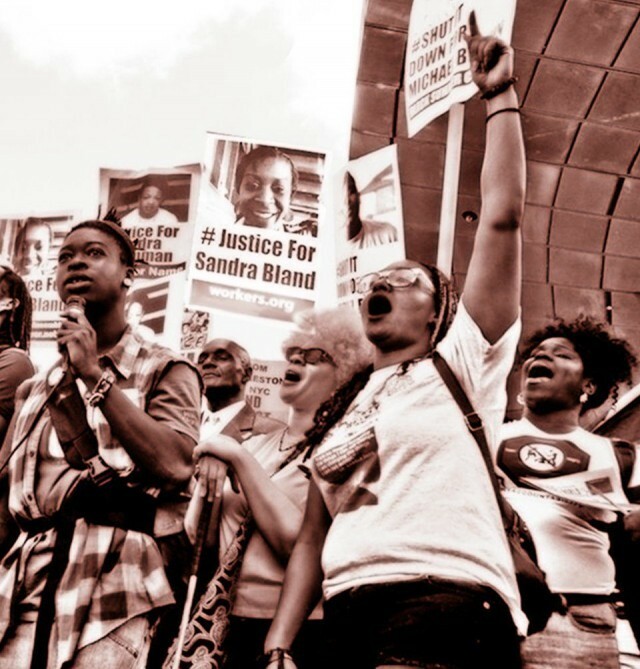 Struggle is the only way to bring about change — like the efforts of the Black Lives Matter movement, started by women and transgender activists, that address racism head on and demand reparations for centuries of oppression. The slogan “We won’t take it any more” sums it up. While all issues are women’s issues, it’s important to recognize that women are powering the low-wage workers’ fight for $15 an hour and a union. That’s because 70 percent of low-wage workers — salespeople and janitors in big-box stores, bank tellers and servers in restaurants — are women, most often women of color and single mothers struggling to provide for their families. 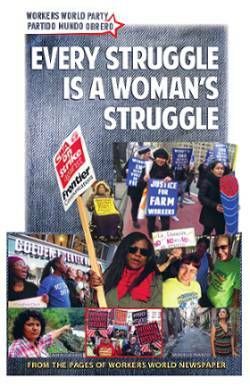 If you appreciate WW’s year-round coverage of struggles that assert and advance the rights of women, it’s time to join the Workers World Supporter Program and help build the newspaper. We established the WWSP 39 years ago so readers could invest in the paper and promote working-class truth needed to make revolutionary change. If you appreciate that coverage and more, it’s time to join the Workers World Supporter Program. 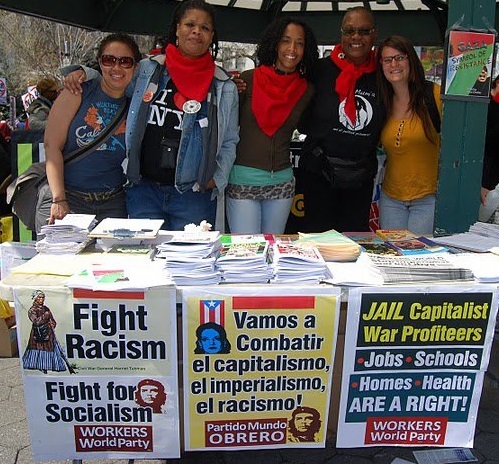 We established it in 1977 so readers could help us publish anti-racist, working-class truth and build the many campaigns needed to make qualitative, revolutionary change that crushes capitalism and ushers in socialism. Write checks to Workers World and mail them, with your name and address, to 147 W. 24th St., 2nd Floor, New York, NY 10011. Or donate online at workers.org/donate/. We are grateful for your help in building the revolutionary press in the U.S.